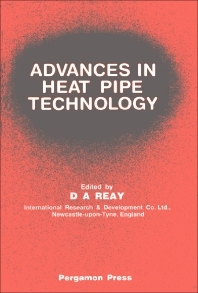 Advances in Heat Pipe Technology covers the proceedings of the Fourth International Heat Pipe Conference, held at the Royal Aeronautical Society in London, United Kingdom on September 7-10, 1981. This conference focuses on the advances in heat pipe and thermosyphon technology. This book is organized into seven parts encompassing 69 chapters. The first part describes the design and features of heat pipes, as well as their terrestrial and spacecraft applications. The subsequent parts deal with the performance, heat transfer and hydrodynamic properties, and entrainment of thermosyphon and heat pipes, with an emphasis on their application to energy conservation. The last parts discuss the heat pipe theory, and the experimental techniques and life tests of heat pipes.